I like both character driven and plot driven books. So much so, that I don't actually pick which book I reader based on this criteria. I feel a good book must contain a right balance of both. Which is why I actually struggled a bit with this list because I'm not sure if the books I've chosen are "purely" character driven. This is the first book that came into my mind. This novel doesn't contain a lot of action - just plenty of character interaction and development. WWII acts as the pivotal setting in this novel but the reader is enchanted by the characters and their lives rather than the actions on the front line. I have a feeling this is going to be a fairly popular choice today. J.K. Rowling's post-Harry Potter novel disappointed many die-hard HP fans but really, what did they expect? This is, right from the start, obviously not a HP novel. Instead, it is about a small-town politician who suddenly died. He wasn't someone particularly important or famous to the world outside of the town yet his death sent shock waves through the community. People are affected, one way or another. A soldier determined to return back home to his sweetheart. This book offers deep insight into how the American civil war affected the people that were living through it. What can I say? This book spoke to the inner fangirl within us all. Read how hysteria and paranoia can turn a small town upside down in this brilliant play by Arthur Miller. A heart breaking story that poses a scenario, which is fairly impossible by current medical standards, still poses a lot of medical ethical questions that makes us think. A family saga about how a seemingly innocent presumption by a young girl creates devastating effect to the lives of those around her. An absolute favourite of mine. A series of letters from two seemingly ordinary girls. Back and forth. Back and forth. Simple as that. Yet this is one of those stories that truly stayed with me, all the way through high school right up to this day. 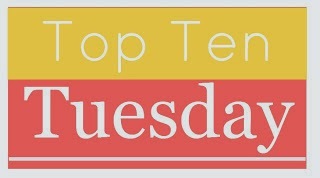 So those are the top ten books I would pick for readers who like character driven books. What are yours? Leave a comment and/or link below and I'll be sure to check them out. I think there are certain authors that are very good at creating characters. Two are probably John Green and Rainbow Rowell. Great selection. I love The Book Thief, and I'd really like to read The Silver Linings Playbook - I loved the film! The Book Thief has some of the best characters ever! Some great choices for your list. Atonement is a really interesting one that I never thought of. The plot is definitely driven by the choices the characters make not the other way around. Great list! OOh nice list indeed! I have to say that I haven't read any of these but will take your word for it on the characters! Atonement is one of the few movies I've seen where I rush out to get the book immediately after seeing the movie. I enjoyed the book although it's been ages since I've read it.